You can set this dictionary as your default Kindle dictionary and look up words while reading. The default setting is The New Oxford American Dictionary included on your Kindle, but you have the option to change your default setting to this compatible dictionary after purchase. 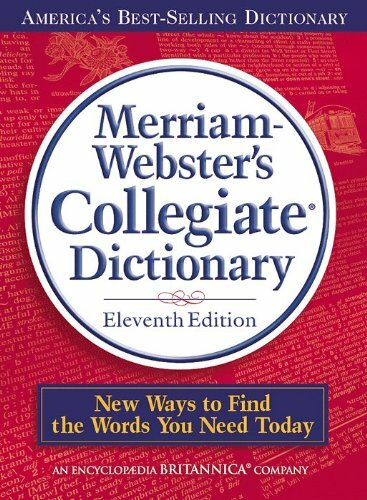 This hardcover version of Merriam-Webster’s Collegiate Dictionary, Eleventh Edition, is jacketed, has a navy kivar binding, and is plain-edged (no thumb indexing). For this new edition, America’s largest staff of lexicographers made more than 100,000 changes and added more than 10,000 new words and senses, such as ‘convergence’, ‘Frankenfood’, ‘phat’, ‘psyops, and ‘vermiculture’. The Eleventh Edition also features over 40,000 usage examples – more than ever before – which clarify confused or disputed terms. Additionally, thousands of phrases and idioms help distinguish vocabulary for language learners. Special sections include A Handbook of Style, An Essay on the English Language, and Signs and Symbols. Over 55 million copies of Merriam-Webster’s Collegiate Dictionary have been sold, spanning a time period of over 100 years. Enjoy Dion Leonard Books? Tell us Why and Win a Free Book! Bring home the incredible true story of a friendship so strong that it crosses the globe! You will love the inspiring tale of Gobi, a lost dog who kept pace with an ultramarathon runner, Dion Leonard, across a vast desert. Follow their unlikely friendship through the challenges of an 80-mile race and Dion’s struggle to bring Gobi home for good. 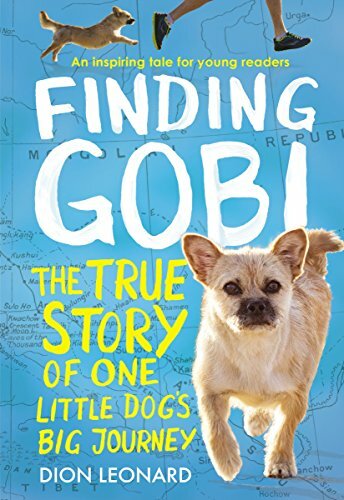 Finding Gobi: The True Story of One Little Dog’s Big Journey is the incredible true story of Dion Leonard, a New York Times bestselling author and athlete, who was befriended by a stray dog while running an ultramarathon through the Gobi Desert. Named for the desert in which he found her, Gobi became Dion’s closest companion for 77 miles of the 155-mile race across China. The scrappy little pup ran mile after mile alongside Dion, through treacherous conditions and across raging rivers. He let her sleep in his tent and share his food, and eventually, his focus shifted from winning to the newfound friendship he and Gobi shared. They crossed the finish line together—not first, but together—and Dion decided to bring Gobi home to Scotland. Just before they were about to leave, however, Gobi disappeared, setting off a worldwide search for the stray. In a town of more than 3 million people, the search seemed hopeless, but this tale of friendship will surprise and delight you as you find out what happens! Join the almost too-good-to-be-true story of hope, friendship, and beating incredible odds in Finding Gobi: The True Story of One Little Dog’s Big Journey by Dion Leonard.